In the high-stakes world of the theater, stage fright can seriously crank your career, so apprentice Minx Mellor hides her phobia, studying as a technomancer to create fantastic, steam-powered devices. But when the mysterious serial killer known as The Peacock targets one of their own, Minx can hide no longer. To save the life of the woman she loves like a mother, she teams up with her sworn enemy and a dashing young director whose powerful magic wakes the nightmares she’s kept secret for years. When disaster strikes, Minx must face the horrors of her past and find the courage to do what she vowed she’d never do again. Even if it means risking her life as bait to trap a murderer. I wasn’t certain I would like this book. I’ve found most steampunk to be a bit lackluster, and I’ve been certain nothing could compare to one book I read, and what I imagine in my head, yet, this book surprised me. I worried that the past Minx experienced would keep me from resonating with her, from liking her, but that was all for naught. Minx is an amazing character that grows exponentially through the book. The steampunk elements are perfectly done, the mixture between magic and engineering well explained. There are many times that imagination is brought to life in ways that would be completely impossible in the real world, yet perfectly fitting in the world Minx is in. The relationships are what make this book stand out, because mixed with the amazing steampunk atmosphere and traces of magic, nothing could be steamier. While originally uncertain how I’d feel about Minx and about the world, by the time I was at the end I KNEW I was going to be buying the next book as soon as I was done because I had to know more. While this book isn’t for everyone, especially with the abuse mentioned within, I certainly found it to be a great example of what a good steampunk novel should be. 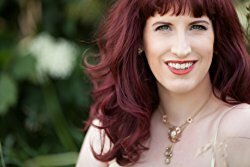 MEREDITH ROSE has been a literary rebel since the age of nine when she began rewriting novel endings she didn’t like. Childhood peers mocked her for using words longer than two syllables, and adults told her that she would never be able to make it as a writer–because it’s, like, not a real career. Thoroughly undaunted, (well, maybe a little daunted at times, to be honest) over the next two decades she secretly pursued writing novels and finally sold her first book at age twenty-nine (under a different name). She went on to publish another three novels, in which the experience of rewriting stuff actually came in useful. 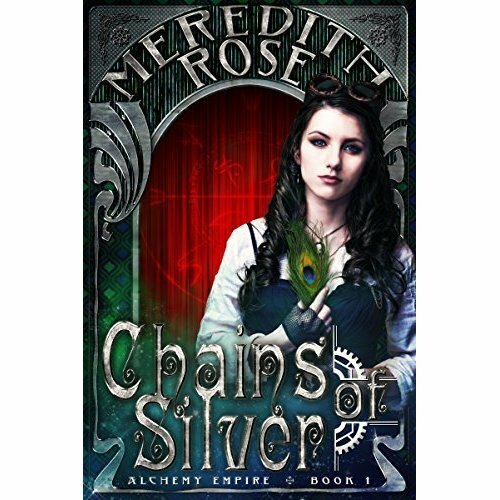 CHAINS OF SILVER is her first young adult novel, and she wrote it for her two teenage daughters who are also talented rebels in their own ways. The sequel, CLAWS OF BRASS, is available October 1, 2016. When she’s not writing, Meredith goes on bookstore dates with her husband, studies Welsh, dabbles in graphic design and altered art, and reads Tumblr way too much. Bucket list items include becoming a yarn bomber, Argentine tango dancer, and an opera singer.